Your home’s carpets can collect grime, dirt, and dust, and can be a serious problem to clean, as well as provide a problem to anyone in your home that might suffer from a breathing complication. Numerous allergens such as pet dander will gather in your carpet and sometimes regular vacuuming just enough to eliminate these problems. When you have your home visited by a professional maid service you can benefit greatly from having your carpet cleaned, and there are a number of advantages that can come from having this work handled regularly by a professional. If you want your carpet to last as long as possible without having the need for replacement, you need to have it undergo professional cleaning. When a house cleaning service takes care of your carpets it will be treated with cleaning chemicals that will help to remove stains from spills and protect your carpet from further damage. Normal vacuums can help keep your carpet clean, but if you don’t have the right and often expensive cleaning equipment that is needed for carpet preservation, you are not getting the full benefit out of this cleaning. A professional cleaner has access to these tools and can provide you with the cleaning that you need for only a fraction of the cost of buying them yourself. 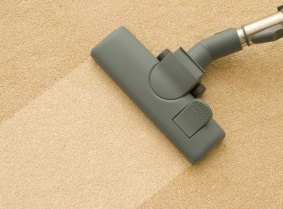 A skilled cleaning service has undergone the licensing and training needed to handle thorough carpet cleaning. If cleaning a carpet is not approached properly you can still have many allergens and even unsightly stains remaining, but cleaning experts have the right skill set so they can use adaptable methods to handle whatever your carpeting may require. Your carpet sees a great deal of use and sections that are in high-traffic areas will suffer severe build-up of dirt and grime that can drastically shorten its lifespan. If you don’t have the benefit of regular visits from a Houston cleaning company, then you will end up having to replace your carpeting much sooner than anticipated. Instead of paying for new carpet, schedule a visit from the professional team at Joyce Darden Cleaning Services.